Utile is proud to announce the launch of the final Imagine Boston 2030 plan. Two years of innovative planning for growth and economic opportunity, led by the City of Boston, HR&A Advisors, and Utile, has resulted in a framework to guide long-term decision-making for the city. The plan provides a point of reference and context to address complex problems – such as climate resilience, transportation, housing shortages, and social equity – in a comprehensive fashion, as well as for identifying significant opportunities for positive change for Boston residents. Imagine Boston integrates a very broad bandwidth of approaches, from social and economic policy to place-specific land use and infrastructural planning. Furthermore, it actively sought input from residents throughout the process – with more than 15,000 contributing voices. Boston Mayor Martin Walsh will help City departments, local organizations, and the project team celebrate the unveiling of the plan at the Imagine Boston 2030 Launch Party and Showcase on Tuesday, July 11th at 555 Columbia Road in Dorchester from 3-8 pm. This event is free and open to the public. 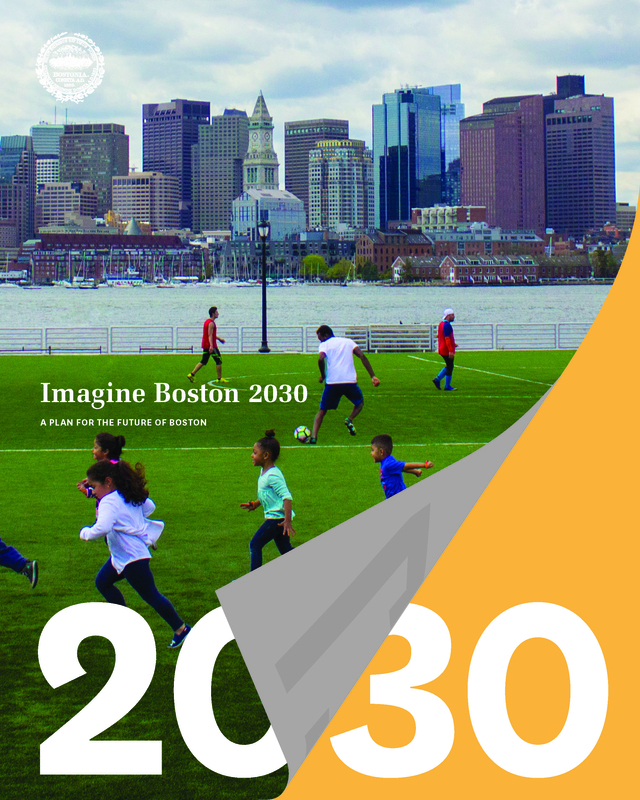 The full Imagine Boston 2030 report can be found here.